4. The Velolove Email List is Back! 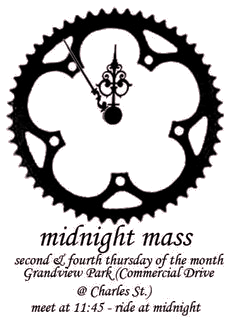 most fun Critical Mass rides of the year! and 5:30 p.m., and roll and ride at 6:00 p.m. The ride is on rain or shine! bicycles are all highly encouraged. don't quote us on that. Come to the ride to find out more. costumes, contests, prizes, crazy bikes, and lots of dancing! $5 to 20, pay what you can. MC3's New Communication Hub is Up and Running. freaky-chopped-up-make-believed-rolling bikes and other monstrosities. 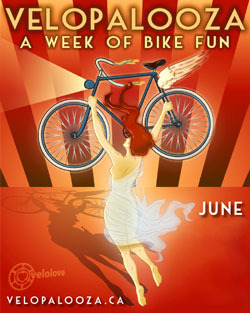 The Velolove Email List is Back! original list. There are currently 248 subscribers on that list. subscribers on the announcements list. would need to manage your own lists.